I vividly remember shivering through last winter as I expressed around the clock; the only practical clothes I had for the task failed miserably at warding off the winter chill. Little did I know that classic winter garments that enable easy breastfeeding while keeping us warm do exist. The Mrs Smith Maternity range of breastfeeding garments allows mums to reclaim their style, nurse baby easier and farewell the goosebumps during winter. In soft Merino wool, Mrs Smith Maternity’s Merino Breastfeeding Hoodies are an absolute staple for the cooler months and sure to be on high rotation. Lightweight and gentle on skin, these classics have an opening underneath the mid section allowing for functional and discrete nursing. 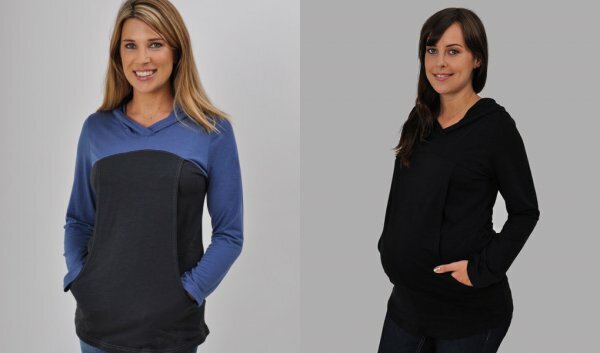 Mrs Smith Maternity also stocks Australian label, Ripe Maternity, and impossible to miss is the Batwing Nursing Jumper with on-trend, vertical press studs that open up for breastfeeding. Also from Ripe Maternity is the timeless Striped Breastfeeding Dress with overlapped opening under the bust – brilliant for mums returning to the workplace and who may need to express throughout the day. For designs with stretch, style and plenty of warmth, Mrs Smith Maternity has got breastfeeding mums covered. Head over to Mrs Smith Maternity to shop the range.